We’re still trying to locate a photo of this piece of apparatus. When the town started talking about purchasing a new fire engine, the country folk decided they should get one too. So they went door to door and within two weeks had the necessary funds. While the town was still taking bids and trying to figure out how to finance it, the country folk purchased this rig. It was stationed at the fire hall in town and operated by FVFD, even though it wasn’t owned by the department. 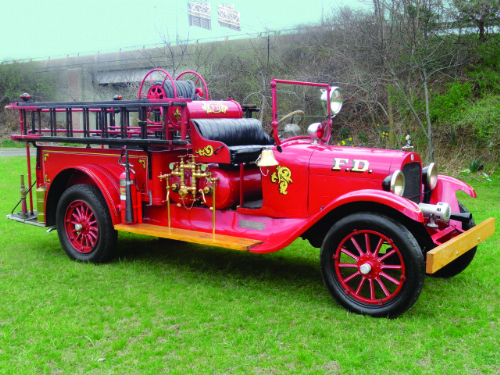 The photo below is not the Ferndale engine, but it is a 1923 Graham Bros. chassis. Out truck was probably similar to this one.